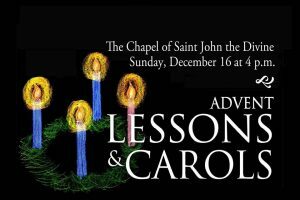 Join us on Sunday, December 16 at 4 p.m. at the Chapel of Saint John the Divine, 1011 S. Wright Street, Champaign, IL, for a service of Advent Lessons and Carols. Lessons and Carols. The Festival of Lessons and Carols is a service of Scripture and song that dates to the late 19th century. In this service, we listen to nine Scripture lessons which recount waiting for the promised Messiah. 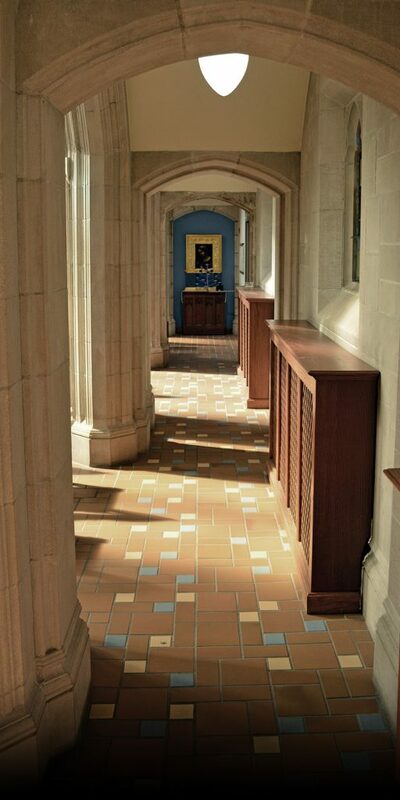 Each lesson is followed by a carol or other song that reflects on the lesson’s message and a brief prayer. This year’s service will include anthems and carols by Palestrina, Walker, Guerrero, Shephard, Wood, Helvey, McConnaughey, Hendrie and Stopford. Childcare is provided. Older children who are able to are encouraged to worship with us.